Questions about Kichler Lighting 10464NI? 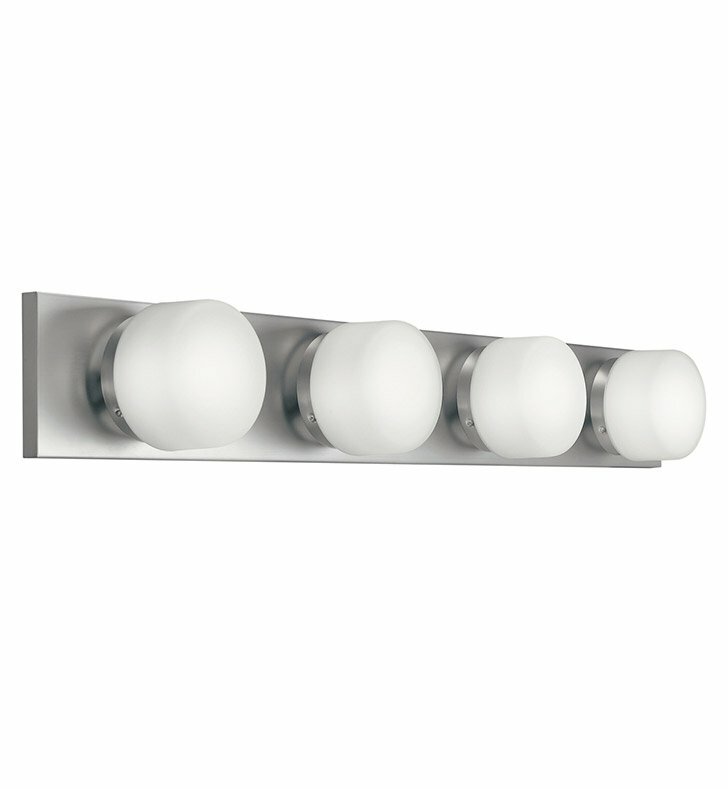 This 4 light fluorescent wall piece is an energy-efficient update on the classic bath fixture. It offers a bright light without a harsh glare thanks to the high-quality Opal White Glass, while the Brushed Nickel finish merges gracefully with surrounding faucets and decor. This fixture is the perfect vanity light to greet you in the morning and send you off to bed each night. Dimensions: H 4 3/4" x W 33 1/2"